Now Served at Target Field! This is the only chili that can be ordered in three distinct classifications of spiciness. Lean cubed sirloin steak and onions along with Tex-Mex spices and chile peppers. Mild, Medium or Hot. 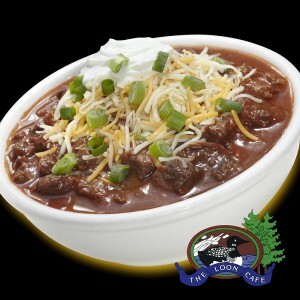 “A CLASSIC TEXAS STYLE CHILI.” Served with Texas toast.